The ANC team shows remarkable flair with this annual blend from its 327-acre site overlooking Crow Butte Park, the Columbia River and Oregon. While driven by five Bordeaux varieties, leading with Cabernet Sauvignon (52%), a little bit of Syrah (8%) goes a long way in rounding out the structure of this food-friendly red. Its nose of black currant, Tahitian vanilla and cherry pipe tobacco funnels into accessible and tasty flavors of boysenberry and pomegranate, allowing for bright acidity and approachable tannins. 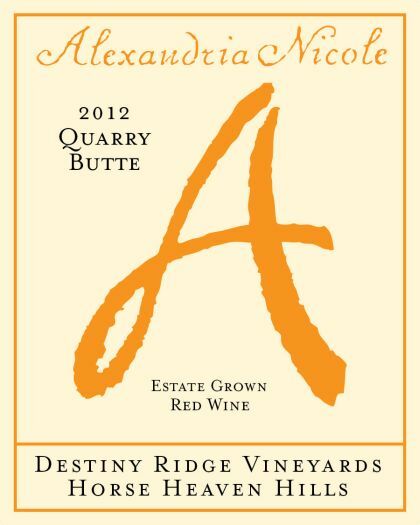 These wines are available at their tasting rooms in Prosser and Woodinville’s Hollywood Schoolhouse as well as by appointment at their Horse Heaven Hills vinification facility. This wine earned silver medals at both the 2015 Seattle Wine and Food Experience Wine Awards and 2015 Great Northwest Wine Competition.